Some of the most notable changes in our world have devloped hand in hand or directly from science. even with some religious discrepancies, most countries throughout the world focus more on science than religion when compared to earlier periods of history. Science has improved technology and visa-versa technology has helped spread and improve science and its study. Because of globalization more innovations have come out into use, and have been spread to more people more rapidly than ever before. This integrated network of science has allowed for countries to cooperate in fields such as medicine, communication, and even military improvements. Advancements in medical science arguably have the greatest effect on the world. It contibutes to both saving and improving lives and all of us have been effected by these advancements. Scientific advancements can be shared quickly and easily across the entire globe and are geared towards sustainability of our species. Sharing advancements in health sciences can be done instantaniously with internet and can benifit patients worldwide very quickly. This is very important because we can globally cooperate to tackle problems in health sciences such as new viruses and diseases. The increase in medical sciences have allowed us to not only control but eliminate epidemic disease on a global scale. Scientific advancements are shared and collaborated on between nations across the world and can be implicated wherever there is the greatest need quickly. With science, there is power and the nations that are the most scientifically advanced hold that prestige. These larger nations aid the developing nations in these scientific fields. Sharing medical technology with developing nations is a trend that many of the developed nations practice in order to get global favor. Those inclined to help others are usually viewed in a better light by the global community. The video above talks about the advancement of robitic surgery which is a recent technology that can be done from remote locations and can technically have better results and have a quicker recovery time and cosmetic outcome. Scientific practices are frowned upon by some peoples religious or cultural beliefs. Abortion, cloning, and stem cell research are three topics which spark intense debate and disagreement. The greatest opposition to these practices come from religion because the practices go against many religious scriptures and even disprove them. People argue that Abortion is killing a human being and is against what is said in their religous scripture. Alternatively some others do not condemn the practice because their culture allows it. Religous beliefs are the main opposition to these medical sciences even when they have potential to help people globally. 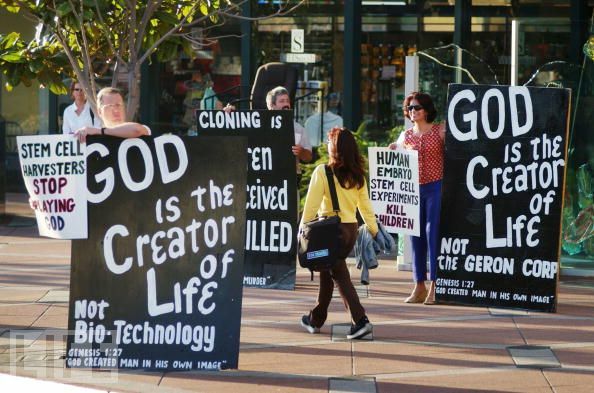 Cloning is opposed because religous peoples see it as playing gods hand. This is important because it shows religious concepts and science contrasting and battling eachother . While the benifit of stem cell research is proven to drastically improve the lives of the people it treats, there is a strong opposition to this because it denotes the practice as again playing god. Resistance to science is global and unyeilding, but scientific research and practice continues at an exponential rate. As far as regional and global beliefs, advancements in the scientific fields are fully accepted. The trend across the acceptance is the willingness of people to help others and improve the livelyhood of our species as a whole. Humans are social creatures and the spread of sciences definitively impact that social connection across the world. Across languages and culture, science allows us as a people to connect in ways that were not even imagined in times before. The global community is an ever increasing and homogenous field with a similar and important goal of the advancement of humans. Scientific advancements have no language, culture, and no bias. Medical technologies are designed to help all and any who need them, and this is why they are ultimatly accepted globally as an important aspect of our race.